(Inside Science) -- On Oct. 1, two researchers, James P. Allison and Tasuku Honjo, won the Nobel Prize in Physiology or Medicine for uncovering how to control the body's brakes on the immune system. Their discoveries have led to new, lifesaving medications that harness the human immune system to fight cancer. The Nobel Committee noted that these drugs represent an entirely new way to attack cancer and that they have been strikingly effective, even in cancers that would have otherwise been untreatable. For their landmark work, they’ll share a prize of just over 1 million U.S. dollars. That’s a half-million dollars each -- enough to help only a handful of people pay for a single course of the types of medications they helped discover, which belong to a category of drugs known as biologicals. A course of treatment with a single immunotherapy medication may cost well over $100,000. Many other recently developed treatments are also following suit with six-digit prices, such as a $178,000 leukemia drug and a $259,000 drug for cystic fibrosis. So why do these drugs cost so much? Part of the reason for the high cost of some new drugs, say experts, is that it takes a lot of money, and time, to research and develop them. “It could take up to 15 years to go from identification of an active molecule to bringing a product actually to the market,” said Ken Kaitin, professor and director of the Tufts Center for Drug Development, a nonprofit think tank at Tufts University School of Medicine in Boston. The center receives about 25 percent of its funding in the form of unrestricted grants from pharmaceutical and biotechnology firms. Kaitin explained that new drugs must go through laboratory testing and highly expensive clinical trials and pass other regulatory hurdles before they are approved by the U.S. Food and Drug Administration and become generally available for doctors to prescribe and people to take. All this work adds up. Furthermore, there are lots of failures along the way. Kaitin said that of the ones that reach human testing, only about 12 percent will actually become commercially available. A 2018 study in the journal Biostatistics put that number at 13.8 percent -- a bit higher, but still less than one out of every seven. Altogether, the Tufts Center estimated the average cost to biopharmaceutical firms to develop a single new medication to be roughly $2.6 billion -- about $1.4 billion in out-of-pocket expenses and roughly $1.2 billion in what is essentially lost time and opportunities. Some in the industry estimate the average cost to be even more steep -- a staggering $4 billion per drug and sometimes higher. Not everyone agrees with these numbers, however. A study from 2017 published in JAMA Internal Medicine put the cost to develop a new drug number lower, at $648 million. The public may also help subsidize these costs through federal R&D tax deductions. Bristol-Myers Squibb, a pharmaceutical company that manufactures the cancer immunotherapy drug ipilimumab under the trade name Yervoy, said in an email to Inside Science that they spent $4.8 billion on R&D in 2017. Willing to pay, ill-equipped to say "No"
Normally, you’d expect to see drug prices drop as alternatives become available or medicines become open to generic manufacturing, said Mark Pauly, a professor of healthcare management at the Wharton School in Philadelphia, Pennsylvania. He pointed out that other, initially high-priced drugs such as Solvadi (a treatment for hepatitis C) did eventually see their costs go down. However, Reuters noted that, even with increased competition, cancer drug costs haven’t significantly dropped. Part of this is due to the harsh reality of cancer. Because of its life-threatening nature, people and their doctors often place huge value in even relatively small increases in the effectiveness of a treatment, while cheaper, still relatively effective drugs may be ignored. More effective treatments help people live longer, and with their lives are at stake, people with cancer are highly incentivized to pay for promising new treatments at any cost and to try one treatment after another, rather than picking just one. Furthermore, it can be hard for insurers or prescribers to say no or to push back and try to negotiate lower prices. Cancer drugs, for instance, are a protected class of medication in Medicare Part D -- the government requires Medicare insurance providers to cover them. And while Medicare was responsible for 29 percent of U.S. retail prescription drug spending in 2015, the Health and Human Services is explicitly barred from negotiating prices for Part D drugs. These factors have led some researchers to call cancer drugs a “monopoly”, a system at least somewhat insulated from normal market forces. On the flip side, these high prices may be responsible for these new, cutting-edge drugs existing the first place, said Pauly. While basic discovery research is primarily funded by the government or philanthropic organizations, turning those discoveries into actual products often falls to private companies and investors. Treatments for rare diseases, or brand-new discoveries, like Allison and Honjo’s, can be financially risky to develop. Allison had to fight to get his discovery into testing and trials for cancer treatment. The risk might dissuade pharmaceutical companies from even starting research on these drugs -- were it not for that shot at the proverbial jackpot. Because companies know that a new, effective cancer drug can be priced at six-figure numbers, “investors respond by favoring investments that may have a chance for getting a sliver of the bonanza,” said Pauly. Prices could be pushed lower, said Pauly, but companies might lose their incentive to invest in the riskier research. “There is a trade-off,” he said. Without the promise of incredible profits, the drugs -- and potential cures -- may never make it off the lab bench in the first place. And new drugs can, indeed, be incredibly profitable. In their 2017 annual report, Bristol-Myers Squibb reported that Yervoy brought in $1.2 billion in global sales that year alone. These profits are likely to continue to climb. The research firm GlobalData says the global market for cancer immunotherapy medication alone is expected to grow from $16.9 billion in 2015 to more than $75 billion by 2022. In February, The Economist called cancer research a “grim sort of growth market” and a hot commodity for investors. Once a new drug does eventually make it to the market, these high prices can become the problem of people, their doctors and insurers. 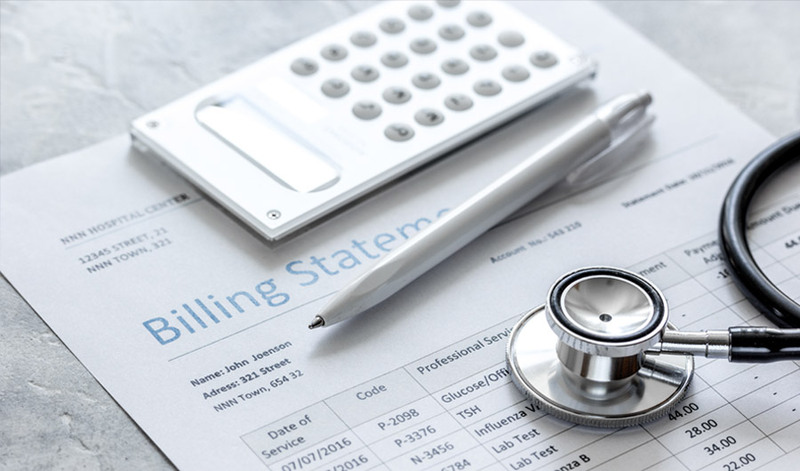 For many people, Medicare or private insurance can often shoulder the majority of the high price, but the bills can still be passed along indirectly to other consumers. "The high cost has to be translated into higher premiums,” said Pauly. Even with insurance, people with cancer can end up with significant out-of-pocket expenses that can cause severe financial woes, even bankruptcies -- problems researchers have come to call “financial toxicity.” A recent analysis by the President’s Cancer Panel, a federal advisory body established during the Nixon administration, suggested that people with insurance can still end up paying nearly $12,000 a year for a single drug. Another study suggested that more than a third of cancer survivors have to go into debt, with 3 percent filing for bankruptcy, even though the vast majority had health insurance. High copayments also made many people more likely to delay or even stop treatment, which can negatively impact their health outcomes. The cost for cancer care is rising at double or even triple the rate of other health care costs, and some experts are concerned about how medication costs are playing a role in this increase. In early 2018, the President’s Cancer Panel recommended ways the industry could better align drug costs with their real value for people, including promoting more competition as well as more rigorous cost-benefit analyses. Back at Tufts, Kaitin pointed out that other countries, such as the United Kingdom, tend to be more conservative about these analyses, such as when the UK’s National Health System decided to not make certain kidney cancer medications available because they did not offer enough value for their cost. Kaitin didn’t comment on whether that particular decision was correct, but he did say there needs to be more coordination between American payers, insurers, and developers. "There needs to be thoughtful discussion and leadership in understanding a better system for ensuring that these new exciting drugs are accessible and available to the people who need them,” said Kaitin. In an email statement in response to an inquiry sent by Inside Science, Bristol-Myers Squibb said that they shared the concern regarding escalating healthcare costs and their burden on families. They also said the price of therapies should be viewed in the context of the value provided, overall healthcare expenditures, and the need to sustain innovation. “We have a long-standing commitment to pricing products based on their clinical and societal benefits and on their ability to deliver transformational medicines that improve upon the current standard of care,” said the statement. James Gaines (@the_jmgaines) is a freelance science journalist in Seattle, Washington. His work has appeared in outlets such as Nature, LiveScience, GOOD, Upworthy, and Atlas Obscura. He once had an alligator snapping turtle as a pet for about two hours.